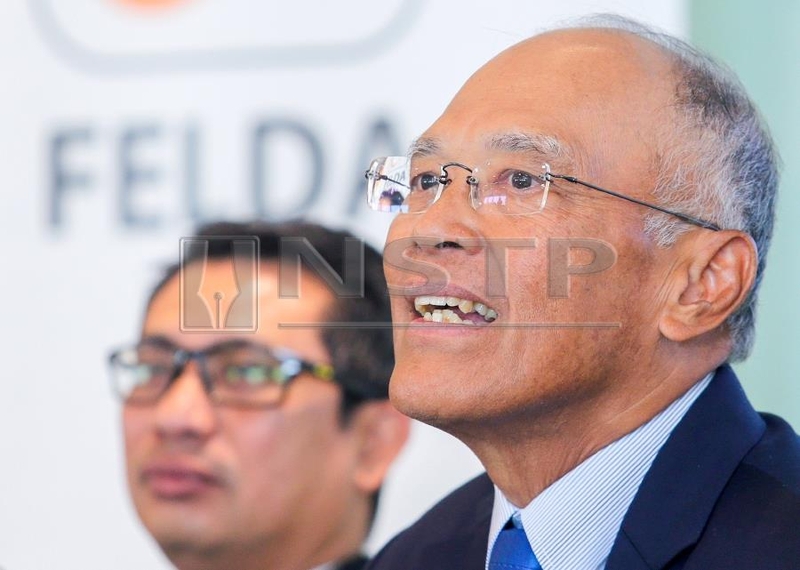 KUALA LUMPUR: The Federal Land Development Authority (Felda) aspired to have all of its plantations 100 per cent MSPO-certified by December 2019, from 42 per cent at present, said chairman Tan Sri Megat Zaharuddin Megat Mohd Nor. In a statement today, Megat said Felda is committed to help more than 100,000 settlers from 286 schemes to have their 431,430ha of oil palm estates certified under the Malaysian Sustainable Palm Oil (MSPO). "We have appointed third party auditors to obtain the certification to ensure transparency," he said. Felda earned its first MSPO certification in 2015 for Felda Ijok and Felda Lasah. "The MSPO gives a competitive edge in exports especially in environmentally sensitive markets such as the European Union, the United States and Australia." "The MSPO also helps us to achieve our national aspirations in ensuring a more sustainable palm oil production and the potential for increased yields and improvements in oil extraction rates via Best Management Practices," he added. Megat went on to say there are 166 more schemes with an area of 225,480.23ha expected to be MSPO-certified by December 2019. Felda is actively involved in the MSPO Technical Committee for Smallholders in close collaboration with the Malaysian Palm Oil Board (MPOB) and Malaysian Palm Oil Certification Council (MPOCC) for sustainable palm oil production.